Is CO2 a Natural Byproduct of – Nature? Ah, the magnificent grasp Congresswoman Michele Bachmann commands on the English language: “CO2 is a naturally occurring byproduct of nature.” As opposed to all the unnatural byproducts of nature? Her mangled language aside, Ms. Bachmann displays the simple-minded, even childish, assertion that more of a “good” – or in this case “natural” – thing is the desired goal. Totally missing that balance is as much a part of nature as its constituent parts. Anyone looking to Bachmann for a coherent understanding of science gets what they deserve. Nonsense. Following is a recent video from our YouTube friend greenman3610, A.K.A Peter Sinclair, explaining the role CO2 plays on Earth’s climate. haa oh man! 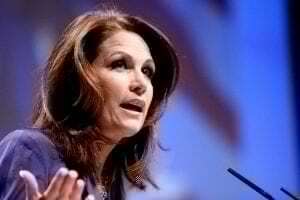 Please don’t judge all Minnesotans based on Michelle Bachmann.